Page Street Publishing, 9781624145124, 208pp. For Jerrelle Guy, food has always been what has shaped her—her body, her character, her experiences and her palate. Growing up as the sensitive, slightly awkward child of three in a race-conscious space, she decided early on that she’d rather spend her time eating cookies and honey buns than taking on the weight of worldly issues. It helped her see that good food is the most powerful way to connect, understand and heal. 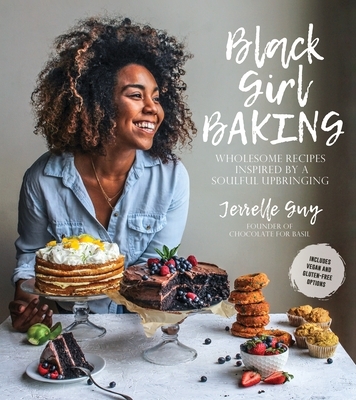 Jerrelle Guy, founder of the popular food blog Chocolate for Basil, is a foodscholar, award-winning food photographer, recipe contributor and Tastemade Tastemaker. She has been featured in Vogue, The Boston Globe, Food52 and more. Jerrelle currently resides in Boston, Massachusetts. —Alexandra Elle, author of Words from a Wanderer and Neon Soul, founder and host of the podcast hey, girl.